← Phil Jackson takes the Reins…wow! I guess most people would say that for the Mets to have a successful season…and I’m thinking getting to around the .500 mark this year, five players need to step up in a big way…particularly with the glaring loss of Matt Harvey. In my opinion who are these five? Not David Wright. Not Daniel Murphy. 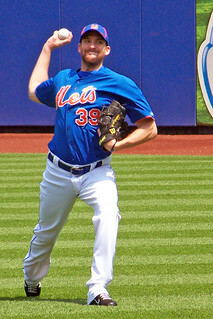 Not John Niese. Not even Curtis Granderson. Good season from these gentlemen would be a nice addition for sure but I believe the real keys to the car this year are Reuben Tejada…Travis d’Arnaud…Zach Wheeler, Dillon Gee and Bobby Parnell. 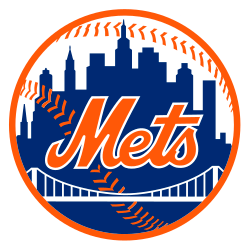 With the loss of Harvey, the young Met arms need to find their groove early and often this year. Though the rotation looks pretty deep, with young studs waiting in the wings, the relief is looking pretty thin…the one bright spot might be a finally healthy Parnell to close. Can the starters get the Mets to the 6th or 7th innings? They’d better because what comes after that is pretty scary. So I think a lot of the pressure this year falls on the kid Wheeler and we all expect Gee and Parnell to step up if the team is going to take any step towards respectability. Wheeler has the tools. Does he have the grit? Does he possess the intestinal fortitude to pitch his way out of tight jams in big spots, knowing there isn’t much saving calvary coming to save him on this team. Only time and experience will tell. If not this year maybe next. Reuben Tejada looked like the real deal early on. He hit enough…he flashed some slick leather and showed some speed. Then 2013 happened. B O I N G. Out of shape. No bat, no glove, no nothing. Off to the minors where his bad attitude and lack of preparation and intensity soured management on him. They would have loved to have divested themselves of what they perceived to be a lazy presumptive ballplayer. They wanted him to earn it. So far the jury still out. If he bombs through the first 3 months then what? Very little backup plan. 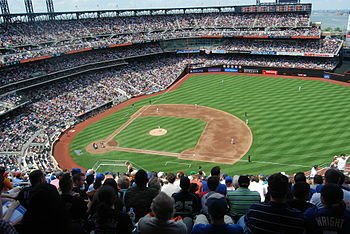 If Tejada becomes the player he was, then the Mets take a big stride towards where they want to be. If not…ooops. Travis d’Arnaud IS the Mets catcher. As is the case with Tejada, no real backup plan. They expect the kid to hit, they expect the kid to field and they expect him to handle the pitching staff like a seasoned vet. If the young man doesn’t step up to fulfill the promise of the R.A. Dickey deal the Mets will again find themselves in a very tough situation. I expect Dillon Gee to have a successful season. Again there is plenty of pressure on the young vet to win 15-16 games. If the Mets had a consistent offenive attack and a strong bullpen, Gee might even more than that. Nevertheless he seems poised to make a jump. He’s healthy and seems ready to continue his consistent play. That brings me to Bobby Parnell. I was reading the paper where Sandy Alderson defended his predicition of 90 wins as a “motivational tool”. I couldn’t agree more. It was a good way to light a fire under a team that has stumbled bumbled it’s way for several years. What I find most annoying about this prediction is the convenient way the GM has left himself out of the equation. 90 wins might have been a lofty goal, but it actually could have been realistic if he had done a better job this off season procuring the talent the team desperately needs. We all know the Wilpons refuse to spend themselves into a contender, and with the plethora of young arms around the franchise the Mets will indeed contend one of these years soon, but with major question marks at short, first base, and the relief corps, no reasonable person could expect 90 wins in 2014. This entry was posted in Baseball, NY Mets, Sports and tagged Bobby Parnell, Curtis Granderson, Daniel Murphy, Dillon Gee, Matt Harvey, METS, Parnell, Sandy Alderson. Bookmark the permalink. Great assessment, Joe. I agree here. With the injury to Parnell they are now forced to look at possible pitching adjustments. Of course the Mets being the Mets they will probably sit back and do nothing. Excellent article. You are spot on. Amazing how many concerns came out of just one game. Parnell’s injury is disconcerting, didn’t anyone pick up during spring training that his velocity was done..usually a red flag for arm trouble. Secondly, D’Arnauds work behind the plate was very suspect. The bullpen as a whole was scary.Nice effort by Gee though. As you said, Sandy maybe looking at a plan B very soon. The Mets are so damn transparent and so damn predictable! They say one thing and do exactly the opposite. This was the year they were going to spend big and get the team back into contention. Signing Colon, Granderson and Chris Young didn’t exactly break the bank or address the many needs they have. I guess we’ll see where this season goes. 90 wins? I think not.